The dawn of the 20th century was a fluid time in America. Mass production was at a fever pitch, traditional values were in flux, the roles of men and women were changing, and America’s consumer culture was emerging. A new aesthetic was also entering the vernacular – Arts and Crafts. It evolved out of a socialist movement in England that rejected the dehumanizing effect of mechanization in favor of honest craftsmanship. 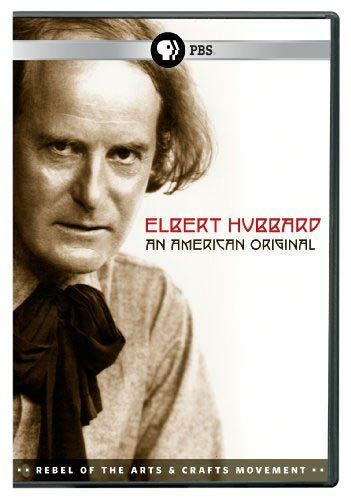 Elbert Hubbard was one of the most influential forces in American business as the new century opened and the Roycroft artisan community that he founded in East Aurora, New York was the first and most successful purveyor of Arts and Crafts in the nation. Storming onto the national stage with a look that screamed artist and writings that preached a mixed message of rebellion and conformity, Hubbard captivated the popular imagination while promoting the ideals of industry. A prolific and widely read writer and publisher, he influenced popular culture and thought for nearly two decades. With keen business acumen, Hubbard used the popularity of the Roycroft Press to create a market for Arts and Crafts home furnishing. Roycroft became not only a successful business venture but also a utopian arts community and a vacation destination that attracted both artists and visitors from around the world. Nonetheless, Hubbard was a controversial and divisive figure. He was hailed as a prophet by those who believed he espoused the ideals of Arts and Crafts, and he was reviled as a charlatan by those who saw him simply using Roycroft for his own advancement and search for immortality. Today, the name Elbert Hubbard still incites passion among those who either love him or hate him, and the Roycroft Campus that he created still endures, inextricably tied to his character, his aspiration, and his passion. Roycroft is the legacy of a man who was, without a doubt, one of the late nineteenth and early twentieth century’s most eccentric, charismatic, and colorful characters.